Secondary Top Pupils in the 1920s. 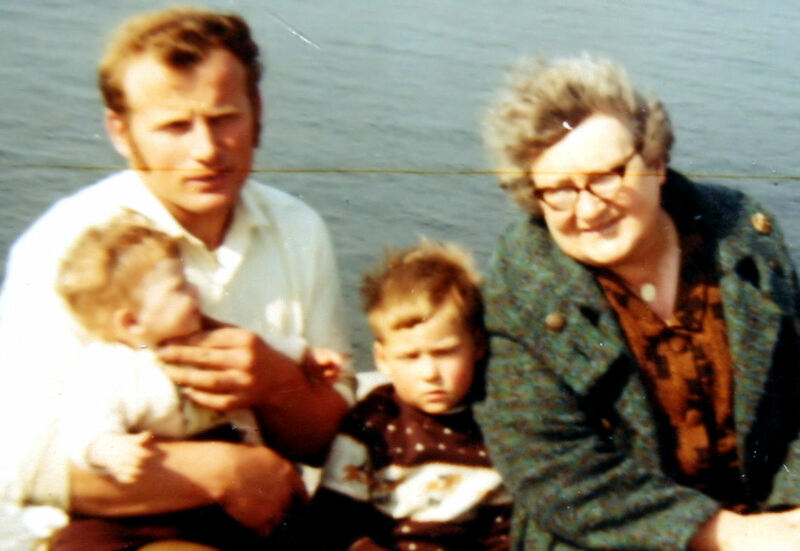 Vincent, Aunt Maggie, Adrian and Susan on Black Head, Co. Clare. Margaret Heavey, the eldest child in a family of three sisters and two brothers, was born in Old Church Street , Athenry on the 15th of September 1908 , the same year the Presentation Sisters came to Athenry. Her father, Thomas, was a saddler by trade and her mother was Alice Kirwan of the well known Dublin business family, Kirwans Undertakers. At that time, their house in Old Church Street , beside Glynn’s pub was a thatched two storey building in which Thomas plied his trade of saddle and harness making. Later in 1936, he had a new home built on the site by Pat Kelly of Lisheenkyle. Maggie Heavey was enrolled (Reg. No. 290) in the Presentation National School on the 24th of March 1911 . 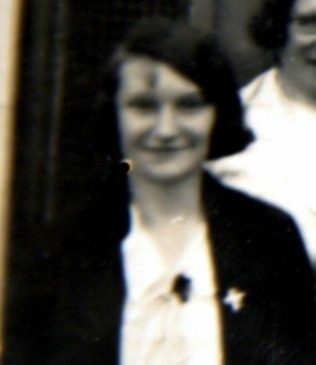 She left on the 30th of June 1924, aged 16, having completed her primary years and spending five years in the Secondary Top-two years in 7th class and three years in 8th class. From there she entered University College , Galway to study for her degrees. 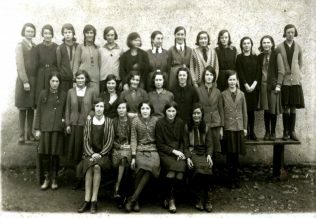 Back row from the left, second and third pupils-Ursula Kearney and May Hanley. 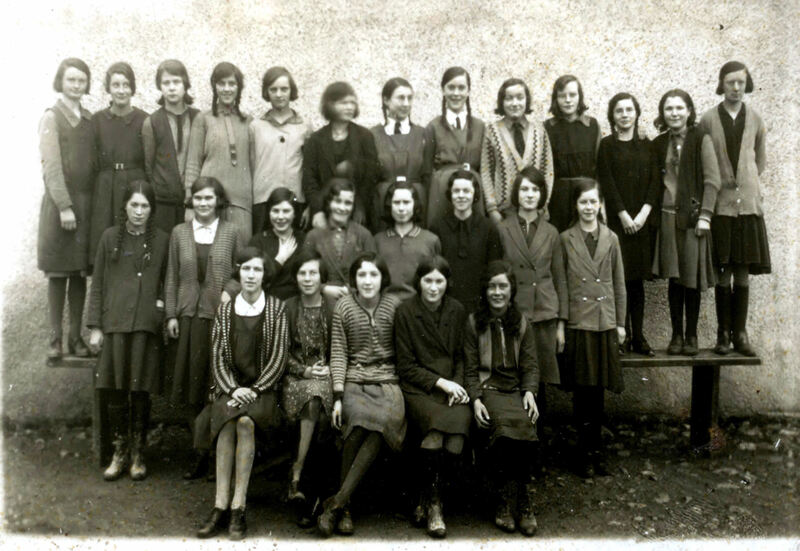 Middle row, first and second on the left- Margaret Heavey and Aggy Qualter. Margaret Heavey went on to become Professor of Classics at Universary College , Galway. All of Thomas and Alice’s children were gifted intellectually. Susan won first place in Ireland in Music, and Flora, by the age of 22, qualified as a professor, but died of a burst appendix. John entered the priesthood. Christy, while not progressing to higher education, was highly intelligent and the father of Ann, who later married Vincent Devally from Tiaquin. Christy was a postman and one of the founders of the Athenry branch of the Labour Party. He was the local letter writer for those who found the art of writing difficult. Sadly, all of them, with the exception of Margaret, died between the ages of 19 and 35. ‘You will not waste mine’. While always helpful and supportive to students who she saw were making strong efforts in their studies, she was strict on those who were indolent. Her regular censure to them went ‘you may waste your time, you may waste your parent’s time but you will not waste mine’. She was of tall stature, 5’ 8”, and had a striking outdoor presence dressed in her usual attire of Berét, a long flowing overcoat and scarf. Her countenance was austere and, because if it, many people were slow to approach her. But at heart, she was a kind and loving person to her family and those who were close to her. She cared lovingly for her mother until she passed away in 1970. During her years in NUI , Galway , she commuted there by train. Alighting at Ceannt Station, she mounted her ‘High Nellie’ and cycled to the College. Many students, who made the same daily trip, carried her briefcase and left it under the College Archway for her to collect. Her handwriting was difficult to read as she wrote quickly. Her public and academic persona was one of focused determination. ‘She was not an aloof person but very much a ‘down to earth’ one’, says Vincent. Privately, she was a kind, loving and caring individual. In 1970, following her mother’s death, she wrote to her niece, Ann, who was married with two young children, Adrian and Susan, in England to Vincent Devalley. They were planning to immigrate to Australia at the time. She invited them to return to Athenry and live with her in the family home. Wanting to give Vincent, Ann and family their own privacy, she had the builders in to construct an upstairs private apartment and study for herself, the door of which was always open to the family. Their arrival and presence brought her ten years of extra happiness. The children, Adrian, Susan and Baby Karen were the joy of her life. They called her Aunt Maggie and she lavished her love and attention on them as if they were her own children. While babysitting, she read them stories at bedtime and, when very busy with her academic work, recorded many stories on tape and played them on the recorder outside the bedroom door. She enjoyed their birthdays and proudly attended their First Holy Communions and Confirmations. On Sundays, she gave them their ‘Sunday wage’ to spend on sweets and goodies. On one particular weekend, the children needed extra cash for an event, so Karen was sent upstairs to do the asking. She stood at Aunt Maggie’s study door and was plain and direct with her words, ’We want a pound!’ Minutes later, to the delight of her siblings, she returned with a pound for each of them. Studying family photographs of her with Ann and Vincent’s children, one notes the look of serene happiness on her face. Undoubtedly, they were the beneficiaries of her strong maternal love. She was a ‘soft touch’ to callers, especially Travellers. When anyone other then Aunt Maggie opened the door to them, they enquired if the ‘Processor’ was at home. They always left with cash. Even if she was away for a long spell, word of her arrival home went around quickly among the Travellers and knocks would resound on the door shortly thereafter. She never learned to drive, yet she greatly enjoyed car journeys. Vincent remembers that whenever they travelled together, she dressed in her usual outdoor attire. The car windows were always kept closed, the heater at full blast, even on the warmest days, as they sped along. Her trips abroad included visits to the USA and a year in Germany . 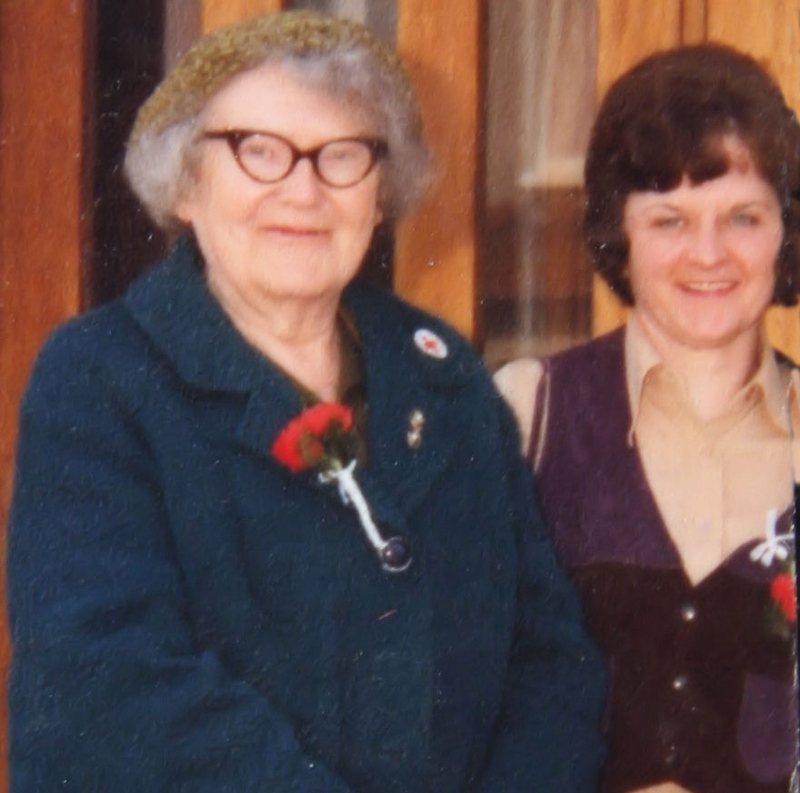 Because she cared for her mother until 1970, she was unable to take up academic promotions. In the following ten years, she was promoted to the second highest position within the university. So important was she to the college that she continued to lecture after her official retirement, right up to three days before her death on the 15th of February 1980 , aged 72. She’s buried in the centre of the New Cemetery in a grave covered by sparkling green chippings. Ann gave some of her books to Esker Monastery and NUI Galway. The remainder she kept in her home. To Vincent, Adrian, Susan and Karen, she, along with Ann, are saints in Heaven and to whom they direct their prayers for special favours. I arrived home for Christmas in December 89, to be informed by my mother that Aggy Qualter had died, I think it was the day before. I was very crestfallen and on finding this page and her name, my heart jumped. She was something else. No man would mess with her, she dumped buckets (of whatever) straight into the river and not a word said. She was great fun and never aged where it mattered most, in the mind!! 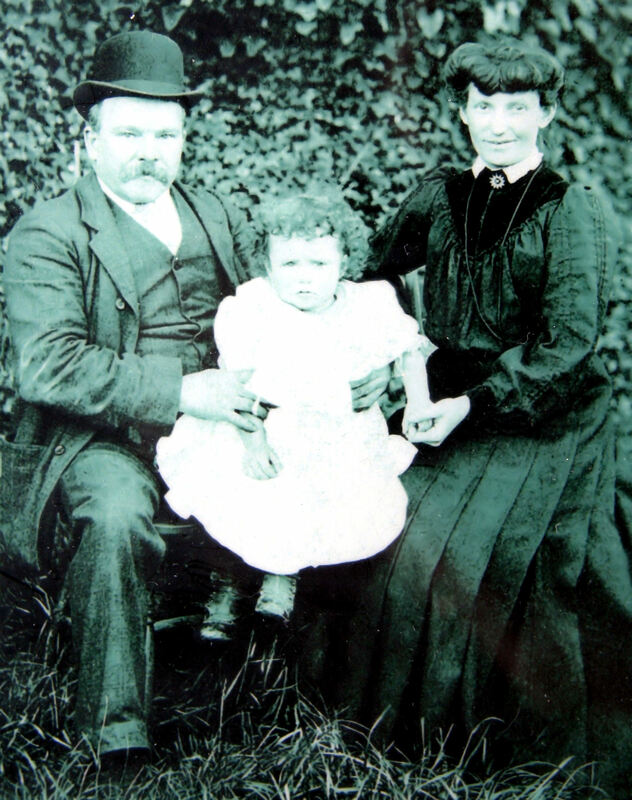 Margaret was born in 1908, her father was born in 1863. So his brothers (possibly your grandfather) would have been born around the same time. Certainly family history has Margarets uncles emigrating to the USA in something like the late 1880s/early 1890s. So every possibility if these dates align. I believe that Margaret Heavey was my grandfather’s niece. We live in Philadelphia and plan to visit Athenry this summer. My grandfather was Patrick and his oldest daughter (my aunt) was my aunt. Looking for information and hope we are related. Margaret Heavey was my grand-aunt. I am the Susan mentioned in the article. She was everything and more that is said and one of the best influences in my life. Even though she passed away when I was 10 I remember the loss I felt. I continue to think about her to this day and look to her and my Mum for guidance when I experience tough times. Invariably the answer always appears. She always tried to teach us at home and I fondly remember being taught to say my prayers in Latin. My memory of her study in our house to this day seems something of a dream – wall to wall and floor to ceiling books with that wonderful musty book smell. A big wooden desk in the corner and even though I know the room was not circular it had the feel of a round room. It was a wonderful environment to grow up in and I will treasure it always. Yes, it would have to be. The Duddys lived virtually opposite the Heaveys on Old Church Street, and the Shaughnessys lived further down the Old Church Street. The rampart walls is the local name for the town walls that run along the end of the Old Church Street back gardens. T. Heavey was my great-grandfather. 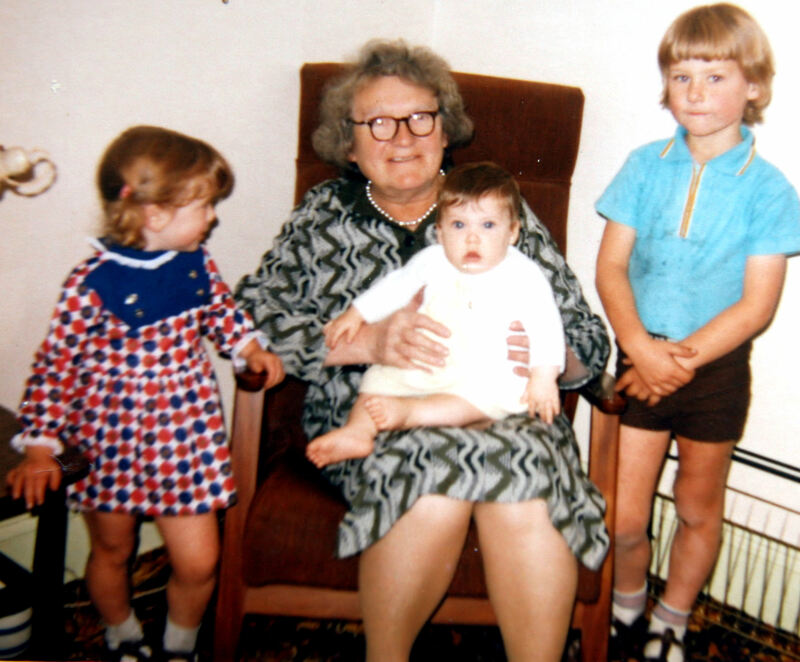 (My grandfather – Padraic Fallon was born on Old Church Street, Athenry in 1905).